Create a new image in Acorn, File ▸ New. The image used here is 1200 x 560 pixels with a transparent background. Type out your text with a white fill and no stroke. 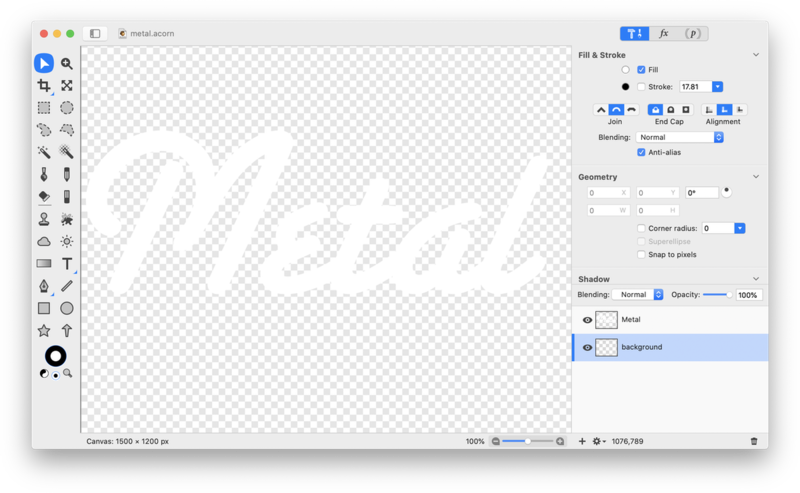 Click on the ‘fx’ located at the bottom right hand corner of the inspector palette. Choose Stylize ▸ Height Field from Mask. 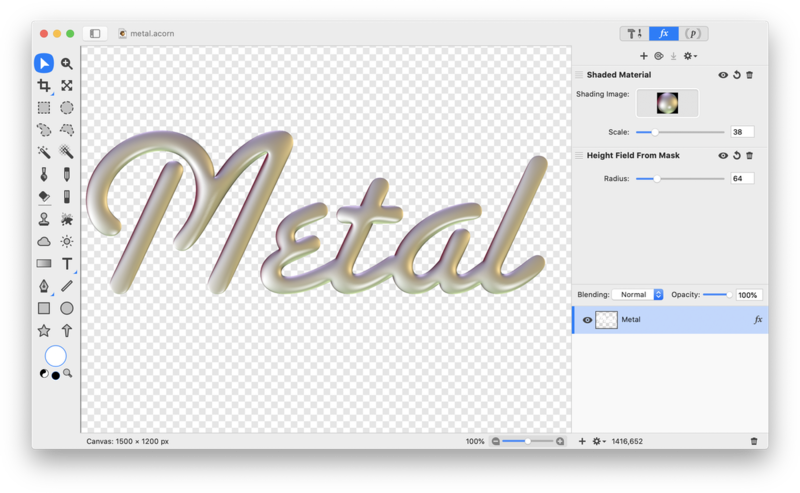 Click on the ‘+’ button located on the lower left hand corner of the filters window and choose Stylize ▸ Shaded Material. Play around with the radius and scale slider values. If you wish to change the color of the text, choose Color Effect ▸ Color Monochrome. Click on the color well in the filter and select a color.